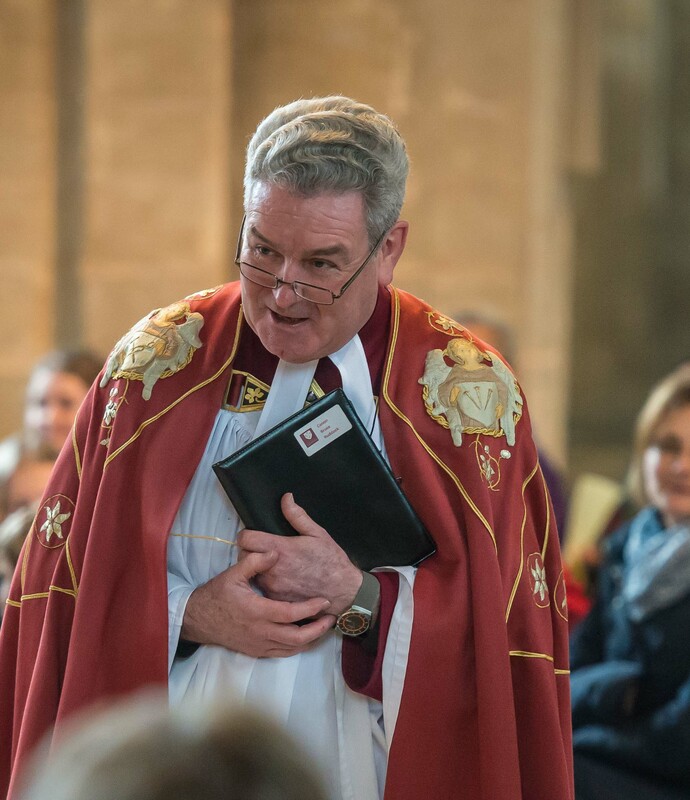 Canon Bruce Ruddock, who has been Precentor at Peterborough Cathedral since 2004, is to retire from stipendiary ministry in June, due to ill health. His farewell service at the Cathedral will be at 10.30am on Sunday 4 June. As Precentor, Canon Ruddock has been responsible for the Cathedral’s worship. In addition to the daily round of services, this has included major occasions such as Remembrance Sunday, civic services, the annual ordinations of priests and deacons, other diocesan events and high profile funerals. In this role he has had oversight of all the cathedral’s music and liturgy and has exercised a significant pastoral ministry within the city. Canon Ruddock, who came to Peterborough from Worcester Cathedral after four years as Director of the Anglican Centre in Rome and – prior to that – twelve years as a parish priest, will be retiring to Sussex with his wife, Vivien. “It has been the most enormous privilege to serve God at Peterborough Cathedral, as well as in the Diocese and beyond. We will miss so much about this place, not least the marvellous cathedral community (especially the children), the wider religious and political life of Peterborough, our friends in the City and the richness and quality of the cathedral’s musical tradition”. All are welcome at the farewell service. One Response to "Peterborough Cathedral’s Canon Precentor to retire"